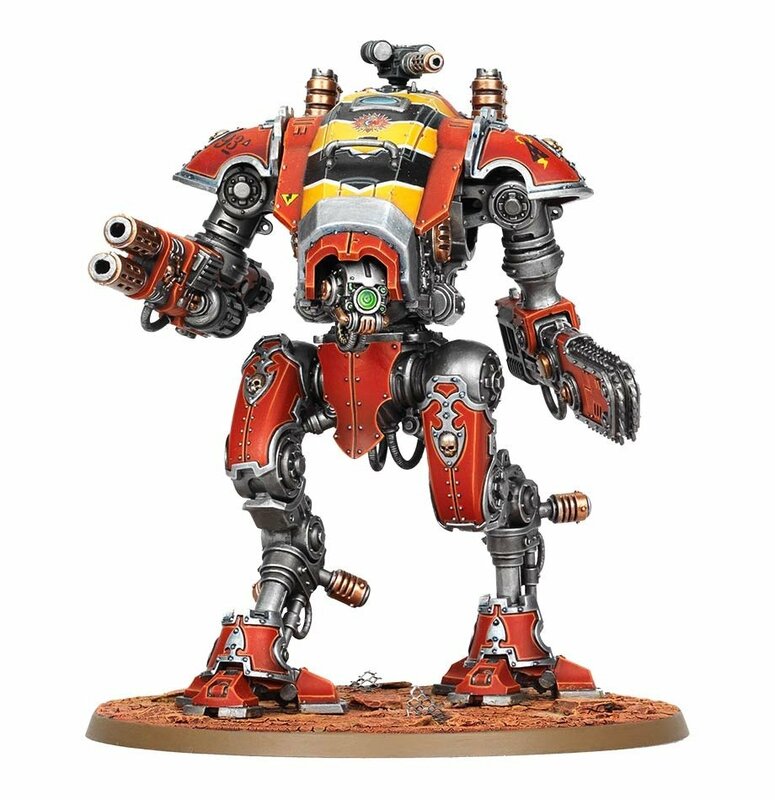 You get two of these new Knights in the box, and yes they are Lords of War. They can be taken as a unit of 1-3. The datasheets are included for all the units in the Forgebane book and also include matched play points. Based on the load-out you’re looking at either 227 or 240 points per Armiger. 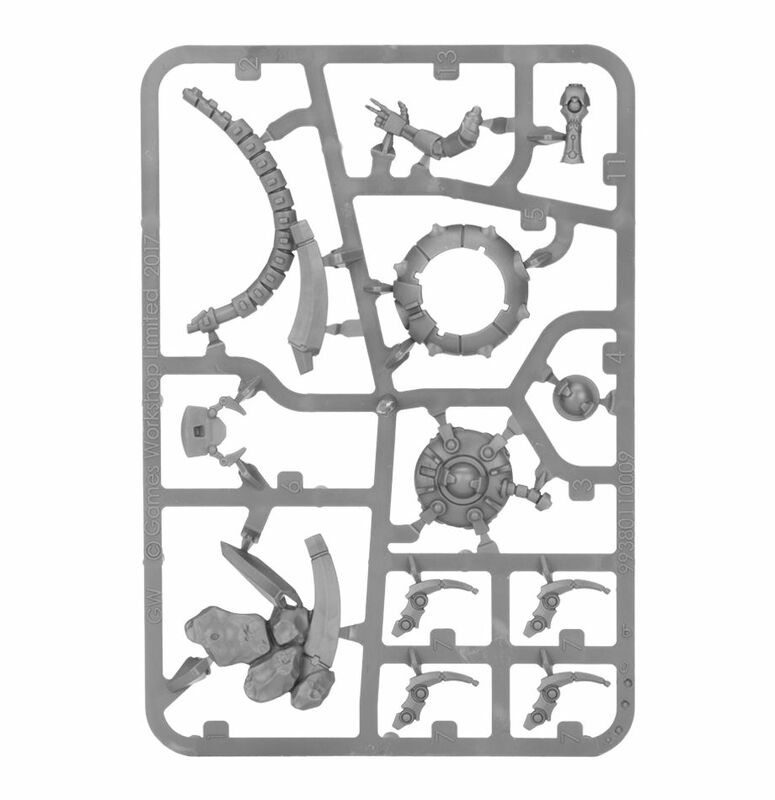 With the sprues included, they did not have any other options for the kit besides the Heavy Stubber or the Meltagun on the top. 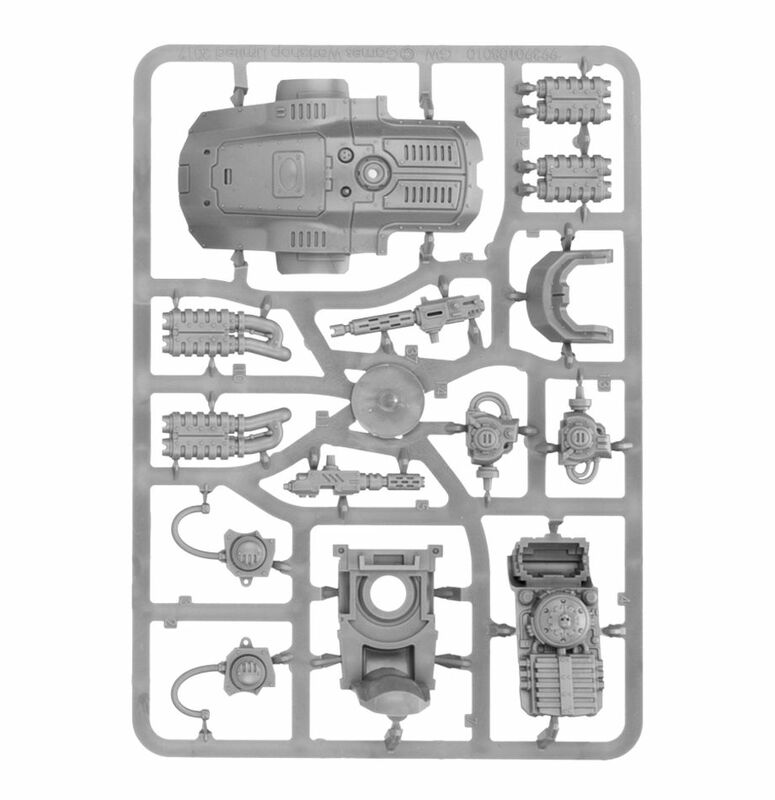 The kit also comes with the full sprues for the Skitarii units and the Tech-Priest Dominus as well. 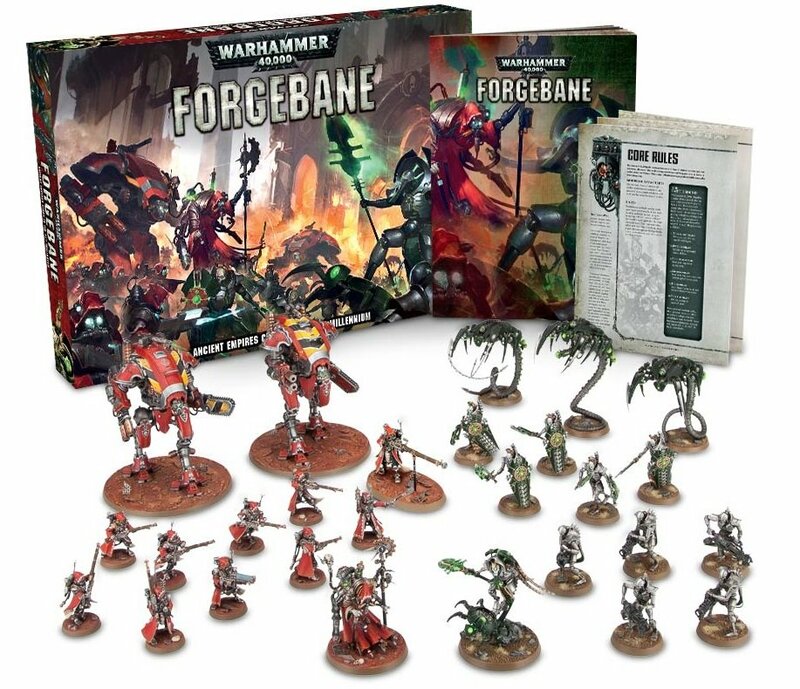 So if you’re looking to add some Ad Mech to your collection this box is a solid addition. 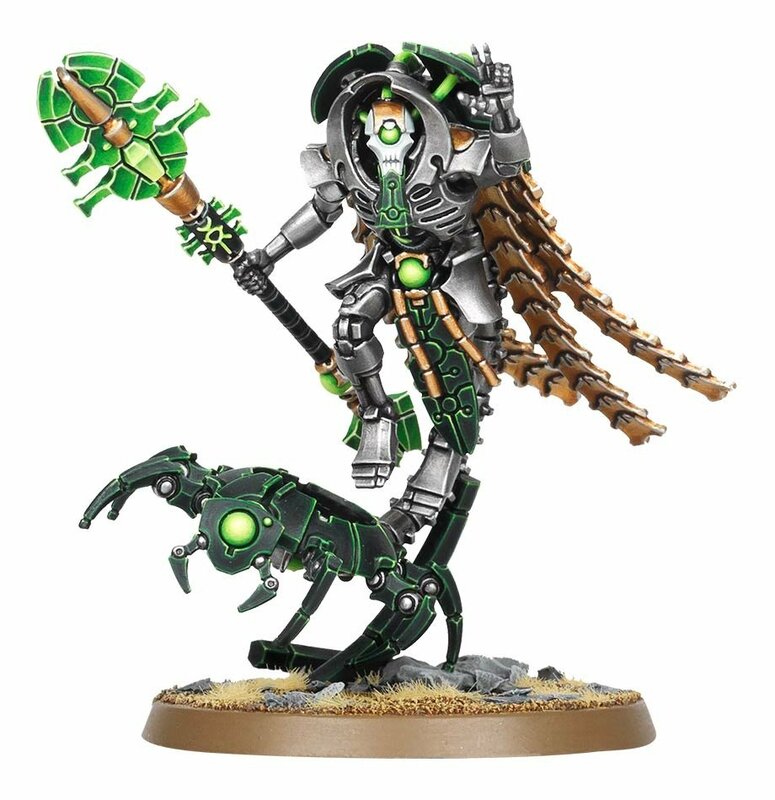 The Cryptek is a new Necron model and he adds some much needed mobility to the HQ slot. As for the rest of the Necron units, we think that all their options will find some use when the new book drops. Wraiths are a fanastic tar-pit, the Lychguard can be a strong unit to charge into melee with and the Immortals can drop a ton of firepower. Again, if you’re looking to expand into the Necrons, this is a solid starting point. The Forgebane book is a 40 page companion campaign guide with all the rules, datasheets, and point values included. 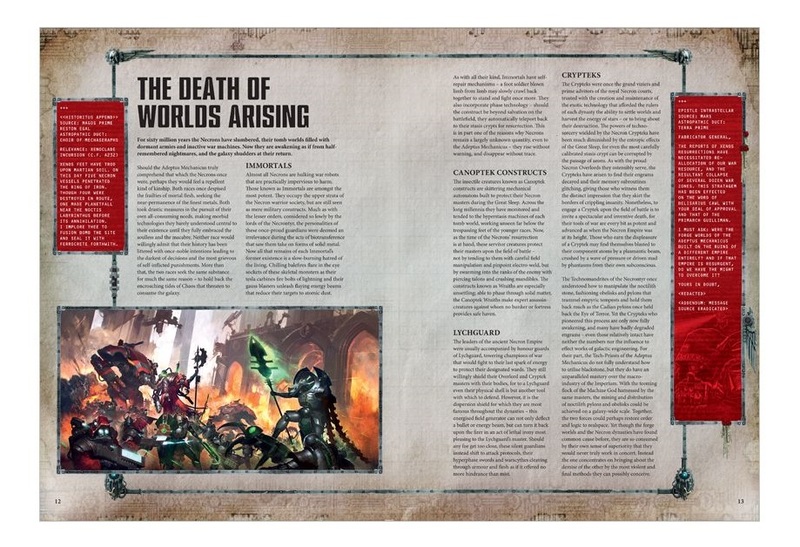 It even has the army special rules as well (minus the specific Ad Mech Forgeworld rules and the upcoming Necron Dynasty rules). 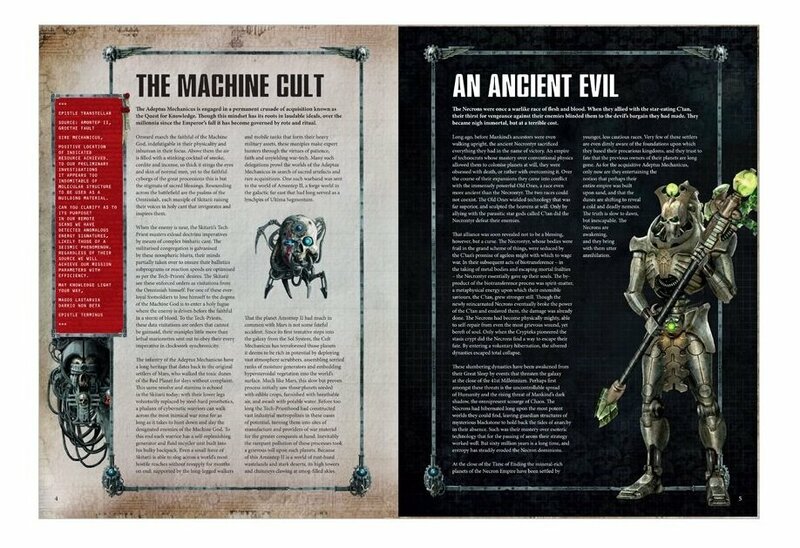 It has a bunch of new lore and background to chew on and it explains what the heck is going on with the Ad Mech and Necrons. It’s worth a read. The book also contains 3 Echos of War missions you can run through with the forces included in the box. On top of that, the box also contains a few transfer sheets if you want to use those. And it also comes with a new rules fold-out as well, perfect for new and veteran players to keep on hand. 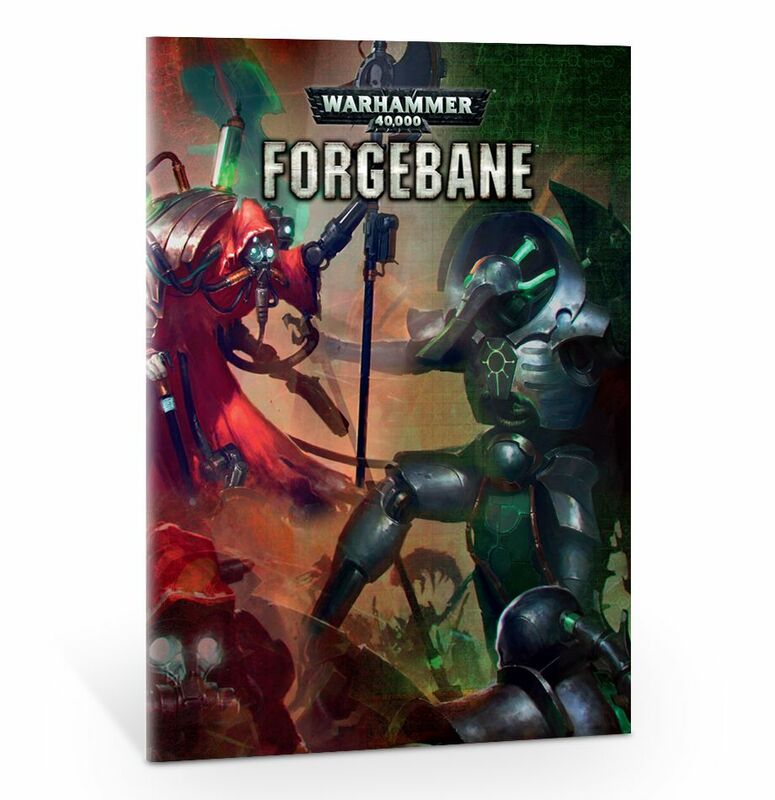 Forgebane is out for Pre-order this weekend and will be available in stores next week. We’ll be previewing more stuff from the box all weekend and we’ve got some games planned for our Twitch Channel, too!